His work is defined in sculptures, installations, drawings and music, but most of the time it‘s a symbiosis of these elements. 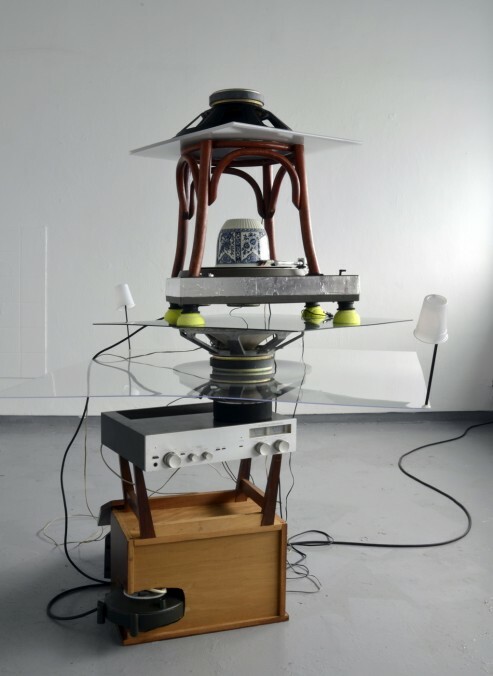 His artistic practice is based on the creation of compositions with a specific acoustic and physical interaction, where form and sound coexist. The playful, unpredictable aspects of this interaction has his main interest. The specific qualities of music like tone, dynamics, rhythm, timbre and its swiftly immateriality create the poetic counterpart of the physical and visual.